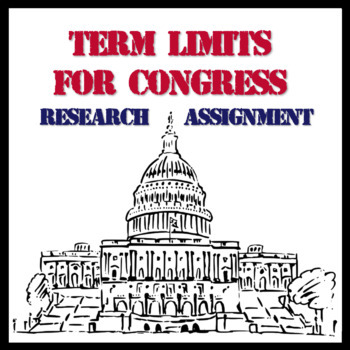 This assignment provides the introduction for students to prepare for a debate on whether or not there should be term limits for Congress. The students should conduct research on the issue and prepare a thorough statement on the guiding question, as well as a potential solution to the issue prior to the in-class discussion. 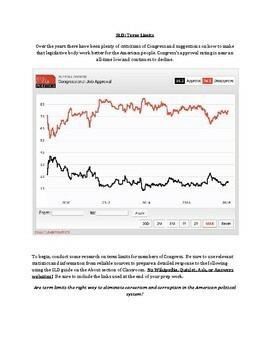 This activity will require critical thinking and analysis as the students facilitate a discussion on whether or not there should be term limits for Congress.